Are you so busy that you can't take time out to exercise? If you are a person who can't take time out for a walk down a couple of blocks, then here are a few exercises which can be done when you are busy too! As a form of resistance training, standing on one leg like the flamingo, can help! Every time you take the elevator up to your office, stand on your right leg. While going down, stand on your left leg. By doing this, you will make your quadriceps, gluteus maximus and your hamstrings work 50% harder, as they are used to working at only half its potential. Every time you hit the brakes of you vehicle, tuck your abdominal muscles and hold the contraction until you start moving again. Place a huge post-it on your laptop or computer: Shoulders back! This will help you improve your posture, reduce back pain and stress. The moment you hit the escalator tense up your rear end till the time you get off the escalator. Gluteus maximus are the largest muscles of your body so squeeze as hard as you can. This will help you burn fat. Make sure you don't make a face, though! Count four as you get in your chair and count another four as you get out of your chair. This works for the front of your legs. The longer you take the more you will make your leg muscles work. 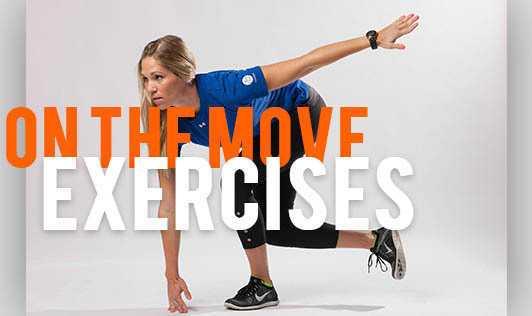 These are a few quick exercises some of you who have no time to exercise can try!